Bob the CPA: This is Abacus I’m Bob the CPA. My guest today is David Ringstrom and we’re gonna talk all things Excel. Including the best ways to learn. David Ringstrom: The best way to learn Excel is to have actual projects that you want to accomplish. Bob the CPA: Why your goal should be to use Excel to automate your job. David Ringstrom: Many times folks don’t automate things because they fear they’re gonna work themselves out of a job, but that’s actually the goal, it’s to work yourself out of these lower level jobs. Bob the CPA: And a whole lot more. All this coming up on Abacus. Let’s go. 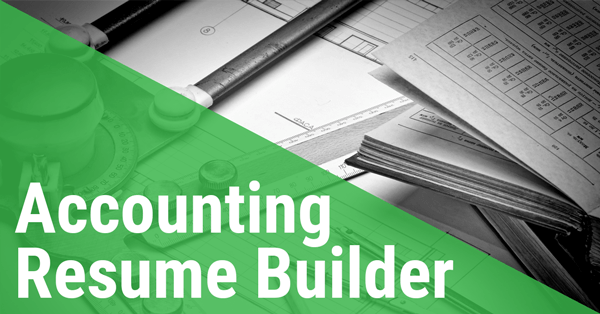 Learn everything you need to know to have a successful and fulfilling accounting career. Whether you’re on the partner track, or you’re making your own path, this is Abacus. 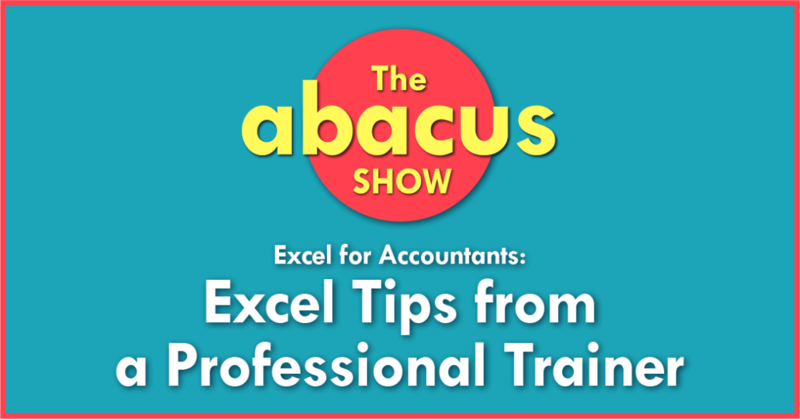 Hello again everyone, this is the Abacus show where I bring together the best thought leaders, teachers, and accounting professionals from all over the world, to share their experience and help you become a top performer and empower you to take control of your career. 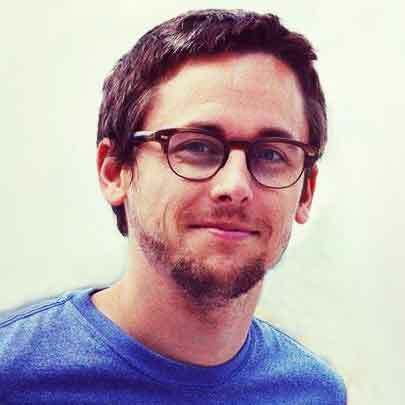 This interview is action packed and we have a lot of ground to cover, including why David was really confused by his first introduction to spreadsheets, his favorite Excel tricks that I bet you don’t even know about and why you shouldn’t worry about automating yourself out of a job. I also ask David to share his top piece of advice for anyone leaving the military who wants to start an accounting career. You can get a summary and links to everything we talk about and the show notes for this episode by visiting Abacusshow.com/206. Now let’s take a little walk on the nerdy side and talk all things Excel, with David Ringstrom. David welcome to the show. David Ringstrom: Thank you Bob, I’m happy to be here. Bob the CPA: So David, I know I originally asked you to be on the show because I wanted you to share some tips and tricks on Excel, which is a huge topic for any accountant, but the more I dug into your LinkedIn profile and kinda started talking to you a little bit, I notice you had a really interesting career story, starting when you were 17. So I was hoping you could maybe take us back to when you were just getting out of the navy and deciding what you wanted to do next and how you ended up going down the accounting route. David Ringstrom: I have kind of an interesting background with my parents that we won’t go into, but they decided it was a good idea for me to join the navy so at 17 they signed me up, and so at 18 I was out of the house, they definitely insured that I launched. The navy was good for me actually, it really helped me formulate a plan and one of the first things that I quickly saw in the navy was the demarcation between how the officers lived and how the unlisted lived. Very distinct differences, which you can correlate, well I correlated in the outside world to the white collar versus blue collars, so it definitely motivated me once I got out of the navy to decide that I’m going to college, I’m gonna get an education and I’m gonna get in on what the better half is getting. That was the main thing that the navy did for me, I was fortunate to have a three year enlistment, so back in the 80s, when there weren’t any wars going on so it was a real good time for me to have that experience and kinda figure out a game plan. When I was in the navy, I was working in supply and that kind of connected the dots toward me eventually getting into accounting because accounting and supply, it’s sort of business related, that all felt approachable for me, and so that’s the path I headed down. Bob the CPA: Were there any specific things you learned during your time at the navy besides just operating the general side of the business that lead you to think “Hey, accounting’s what I want to do”, or did you just kind of start moving down a path and accounting kinda came up along the way? David Ringstrom: I started moving down a path, and that’s really been a metaphor for my whole career, the example I often use is kind of a dot to dot where I would get to a certain dot, like being in supply in the navy, that would then reveal the next dot, which was let’s get out of the navy because one I wanted to pursue an education and two, I wanted more flexibility in my life than the military offers. That kind of lead me to going to school for accounting and then along the way, starting at a junior college and ready to go to Georgia State where I graduated from and so, along the way I got a job in commercial real estate. That then opened up more dots, to ultimately becoming a CPA, so it hasn’t really been planned, it’s really get to each stage and then kinda test the waters and say, what makes sense next? I’ve been very fortunate, things have just continued to unfold for me in a nice fashion. Bob the CPA: It’s amazing how many people I talk to who have very similar stories, myself included. I didn’t really decide I was gonna go into accounting it just kind of happened and then, you take one step at a time and kinda go from there, so I think that’s really important to point out for younger people who kind of don’t know where they want to go later in life. Just keep learning new skills, keep pushing forward and eventually you’ll figure out what you wanna do. David Ringstrom: I agree completely, and the other thing I found is, it’s amazing things I did in the mid 90s that I was just kind of just trying to get by that have had tremendous impact on my career, 20 years later. The more that you can do to try out different situations, you never know where it’s gonna lead down the line. Bob the CPA: Do you have an example off the top of your head of something you were doing in the 90s that you’re still using today or that still is impacting your career today? David Ringstrom: For instance back in the 90s, back before the internet, there was CompuServe, the way that we got online back in the day was online services like CompuServe or Prodigy and so the first spreadsheet I learned was Lotus 1-2-3. Just to show how far I’ve come from learning Lotus 1-2-3, the first time I saw the program in the late 80s, I didn’t realize you had to hit a slash key to display the menu. All I could see on the screen, my first exposure to spreadsheets was just this grid on the screen with no menu and I always remember saying “well this is a stupid program, you can’t do anything with it”. I’ve learned a fair amount since then but spreadsheets quickly got in my blood to the extent that I would geek out online and go to CompuServe and answer questions in the Lotus 1-2-3 forum. From there the Lotus corporation noticed me and said “Hey, do you want to moderate this forum, and if you do we’ll give you a free CompuServe account.” Which was valuable back then, because back then being online meant paying $12.80 an hour to be online. The whole connectivity has changed a lot since the mid 90s. From being on CompuServe I then got noticed by a company called the Cobb Group, which wrote, among other things, newsletters about spreadsheets, which they then asked me to do some Freelance writing for them, which then kicked off my writing career, which I can connect the dots to today, where writing has ultimately lead to me being an Excel teacher to the extent that I’m teaching over 200 live webinars per year on Excel. I can just directly trace the dots to things I was doing back in the 90s that were just me trying to dig into something that I thought was fun during the day, and it’s ultimately lead to an unexpected career change for me because, for most of my career I’ve been a spreadsheet consultant. Suddenly training has gotten so big that what I was as my side gig is now my main gig, so I’m having to change my mindset of okay, I’m not a consultant anymore, it’s still a small part of what I do, but it’s more of a side thing now, and my side thing has become my main thing, which is actually great, it was just, I didn’t plan on it. Bob the CPA: It’s amazing how that works out. Just the fact that you were excited to write for Lotus 1-2-3 newsletter says you were very fit to be an accountant I think. David Ringstrom: I agree, I’ve got my geek cap with the little propeller, guilty as charged. Bob the CPA: While you’re teaching these, wow, 200 live webinar in a single year is a ridiculous pace. Are those all covering the same topic or do you cover a range of topics, what do you usually teach on these webinars? David Ringstrom: I have a couple dozen topics that I’m teaching for a couple dozen providers, it’s anywhere from an introduction to Excel to pivot tables, using different features of Excel, running macros, I really cover the gambit and what’s been great about training is, it’s a way for me to monetize this knowledge that I’ve accumulated over the years by having to show up. When I was a spreadsheet consultant, I made a good living but there was always a ceiling, because when you’re self-employed you can only work so many hours, there’s only so much you can charge per hour, per project, so there’s this built in ceiling. Over the years people kept telling me, you need a product, they’d say “Oh, you can take the spreadsheet you built for me and sell it” and that was never the case because my niche as consultant was really getting inside somebody’s head and giving them a very custom tool that met their specific purpose, which didn’t mean it was something like an app I could go sell on the marketplace, it served that specific need. Word to mouth got around, and I have this niche practice but people find me when they need me. Training is different because it’s a way of taking this knowledge that I’ve learned the hard way over the years and packaging it. Not only am I teaching live webinars, I’m also offering on demand webinars through various providers where I get royalties from that. It’s really been a godsend at this stage to have this, take what I’ve been doing all along and figure out how to make it into a product. I really feel fortunate for that. Bob the CPA: Yeah that’s great, and you can help so many more people that way too than you could even just working one on one with companies, which is amazing. David Ringstrom: Absolutely. I get a lot of fun feedback and a lot of fun questions from the webinars and I love the challenge of being asked on the spot. People sometimes stump me but not very often, that’s really the exception. I’m always up for the challenge. 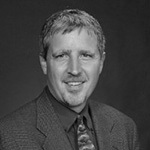 Bob the CPA: When you’re putting these webinars together, do you sort them generally by topic? For example if somebody wants to learn pivot tables and they know they need to learn that, or do you sort them more like, intro for a new staff accountant or a new senior or a new FANA? Do you have it broken up by career path or is it just by topics in Excel? David Ringstrom: It’s mostly by topic and I really shy away from these boxes where people say I want an introductory Excel or an intermediate Excel or an Advanced Excel. I have some introductory topics but generally I try to really cover the gambit, because one, I find that beginners often sign up for advanced classes, and people that have been using Excel for a long time signed up for my Intermediate class. There’s also things that might feel advanced about Excel, but if it the tool that you need to do your job, it doesn’t matter where you are on the continuum, if you know how to use that tool, you can work much more effectively, so I really try to cast a wide net and ensure I have something for everybody rather than trying to pigeonhole everyone, because we’re really all using Excel different ways and you just never can tell, when you’re gonna learn that next trick that should change how you use Excel and boost your productivity. Bob the CPA: That’s a great point, I think this is one of those topics everybody likes to talk about and everyone will have their shortcuts, going all the way back to very old versions of Excel and the different functions they use for their job, and if it’s what you use for your job, every time someone asks what they need to know you just tell them that one thing and it may not be what they need for their job at that point too, so it’s nice to have that ability to kind of go in and see all different things and these different webinars. David Ringstrom: The other phrase I use in my sessions is, I’ll often say, if I’m covering something that’s kind of obscure about Excel, I’ll compare it to the chainsaw in my garage. I live in a city, I live in Atlanta, I’ve got trees, I have a chainsaw, I don’t use it very often, but when I need a chainsaw, no other tool is going to do. When you’re trying to do a certain task, you have a bunch of data that’s in a list that you need to summarize, a pivot table, that’s your chainsaw, you don’t need to write a bunch of formulas and hack your way through with, you do a couple mouse clicks and you can have an instant report. That’s just scratching the surface of the types of things that are possible in Excel, but many folks either don’t have any inclination or just don’t get the exposure to all these other things that Excel can do. Bob the CPA: Especially there’s just so much it can do it’s very overwhelming sometimes. I used to tell my staff that if you ever find yourself saying there’s gotta be a better way to do this, there probably is, you just need to figure out what to type into Google to get it done. David Ringstrom: Absolutely, my knowledge on spreadsheets has been a snowball, where each thing I learned made it that much easier to learn the next thing. Very much of “okay, wait, if I can do this, there’s gotta be a way to do that” and fortunately, Google is a godsend now. Back in the late 80s, early 90s, you had to go to the bookstore and buy books and so I would have stacks and stacks of books that I’m flipping through trying to find what I wanted to do, now I just go on Google and Excel whatever it is and there’s the answer from the mundanes to crazy things like using Excel to put files on FTP websites, or control other programs, or whatever crazy thing I might dream of. Bob the CPA: On the topic of Excel, I know you said you don’t like to pigeonhole too much, but are there any things maybe that you think a lot of accountants or finance professionals overlook that maybe would help them out in their day to day job, or any other places you recommend people start when they’re learning? David Ringstrom: The best way to learn Excel is to have actual projects that you want to accomplish. Where I got my start with spreadsheets was back in the day, I worked as a bookkeeper for this commercial real estate firm and the bills for the tenants each month got printed out in this computer system, but often there were mistakes. We as bookkeepers had to go sit down at a typewriter and retype the bill and it was a six part carbon form that if you made a mistake, you had to pull it out and start all over again. Really soul crushing. I just had this soul crushing repetitious work and so I set out to build a spreadsheet in Lotus that I could fill in the blanks and line it up in a printer and then print it and review it. From there, just automating that one simple, I was hooked and anytime I’d run into some sort of mind numbing task, there’s some way, many times that involves programing but not everything requires programing, there’s lots of stuff in Excel we can do just with the features, that can just cut through whatever these tasks are. In your work, if you find these repetitious things, that’s a good place to start, for instance, if you want to learn programing or just finding templates or better ways to build your spreadsheets. Even you’re not maybe in a job yet, set up a spreadsheet to manage your budget or if you’ve got a little bit of money you’re dabbling with the stock market build a stock tracker portfolio. The more that you can build these spreadsheets and get frustrated and get stuck and then go Google and get the answer, the more that you’re building knowledge, and the faster you’ll get at Excel, if that’s your interest. I’ve made a whole career out of just knowing spreadsheets. If spreadsheets are your thing, there’s lots and lots of way to use that knowledge. Bob the CPA: Day-to-day for, maybe a staff accountant or an FPA professional or even in tax, I don’t have as much experience with tax but I assume it’s similar, like you said, there’s a lot of stuff that you’re doing manually, that if you’re doing it every week, every day, every month, automating it once saves you so much time. It takes a lot more time the first time, ’cause you have to build everything and put it together, but there’s nothing that makes you stand out more on your team than taking what used to be four days of work, and compressing it down into one day or half a day, and then having all that extra free time to catch up and do more value at a task. David Ringstrom: Exactly, and many times folks don’t automate things because they fear they’re gonna work themselves out of a job, but that’s actually the goal. It’s to work yourself out of these lower level jobs, and provide value, and then you’ll get tasked with more increase in responsibility. If you’re in a place where they don’t value you automating things, then clearly you’re in the wrong space anyway. There’s nothing to be lost by broadening your skills and building these tools and making everyone’s life better, it’s just been one thing after the other for me with all these ways. I started out in the real estate firm, automating all those spreadsheets, one of the things that really made me want to take the leap on my own was I had gotten to the point where all of the spreadsheets were as good as they could get. There wasn’t anything else for me to improve on, and so then I was stuck with babysitting them, and that didn’t last very long. I don’t do well with babysitting spreadsheets, to me the fun is in being tasked with a challenge and figuring out how to solve that challenge, and then hand the tool off to someone to maintain it, and then I’m off to the next challenge. Bob the CPA: I completely agree I’ve had the same situation in my last couple of jobs, after a couple years it gets a little boring and you gotta move on or you find something else to add value and maybe move across the company or something. Moving on from, or I guess, before we move on, do you have anything else that I haven’t asked you about related to Excel that would like to share today? David Ringstrom: I can offer a couple Excel tips. One of the things that is most soul crushing for folks it, you’ve been working in Excel for some extended period of time and then all of a sudden you lose your work. The computer crashes or Excel freezes or the power goes up. Any number of things go awry with our spreadsheets. One of my Freelance articles that’s probably has over a million page views not is how to recover unsaved workbooks in Excel. That’s something we can do in Excel 210 and later, we can’t do it in Excel 2007, but if we go to the file menu, at the bottom of our open menu or that recent workbook menu, there is a command there that says recover unsaved workbooks. It’s not gonna save you 100% of the time, but it is very useful if there’s any spreadsheet you’ve been working on for more than a few minutes, behind the scenes Excel creates these backup copies that now, with Excel 2010 and later we’re able to, in many cases recover, and then you’re not just totally out in the cold having to reinvent your work. The one thing I found is that when we do have to redo our work, if there’s no other, it does go a lot quicker the second time around, but still, it’s rather painful. Bob the CPA: Definitely better to just keep it if you can, right? David Ringstrom: Yes, in that regard, using keyboard shortcuts can just be tremendous such as training yourself to press control S periodically, control S for save, that’s insurance against things going awry. Another thing that we can do is, many times we’re saving our work and we can still, even if we are definitely saving our work, we can still get into a ditch, so in Excel 2010 and later, if you look at the info tab, there’s a version section where you’ll also see timestamps there sometimes if you’ve been working on a file long enough, and those are previous copies from your current work session that you can open up alongside your live file. Because sometimes we do something completely innocuous, we delete a worksheet, thinking “I don’t need that sheet”, that’s one of the few things in Excel that you cannot undo, in fact, once you delete a worksheet, you can’t undo anything prior to that. Deleting worksheets is something we need to be particularly mindful of, we need to save our work before we do that so we have that fallback position, but if we get in a rush and we are in the moment and we delete it, then if we go to the info tab, look in that version section, you may be able to pull up a previous copy from today, and then be able to grab your missing sheet from there as well. Bob the CPA: That is fantastic I didn’t actually know that one. I always was thinking that was a feature that, if you ever used Google Docs or Google Sheets and I was wondering why Excel didn’t have that so, it goes to show you, you can probably do pretty much anything you just need to figure out where it is. Bob the CPA: All right, so I know you have a heart out today so I want to be respectful of your time. I have a couple rapid fire questions, they’re just pretty quick, you can answer them in a single sentence or you can kinda go into more detail, it’s really up to you. The first one is just, when you’re doing your work today, or you’re at a cocktail party or whatever, how do you usually describe yourself? David Ringstrom: I often start out and say that I’m a CPA and for many folks that just kinda shuts the conversation down, they’re like okay, I understand what you want. But some folks will say “oh, well I guess you’re busy this time of year” and I’ll say well I’m a rather unconventional CPA, and then depending on their interest I’ll get into more detail about the training, the consulting and the writing work that I do. Usually, lots of times folks are just being polite and so I have my short answer and then I got kind of a pyramid, going into more detail as warranted. Bob the CPA: Now that you’ve gotten into training and you’ve been writing and training for a while, what do you find is your favorite part about doing that? David Ringstrom: I love the creative process of it. With my training materials I never rest with them, I’m always improving, always tweaking, always coming up with ways to explain things more elegantly and make it more clear. Because one of the things I like to do is pack a lot of learning in. I’ve endured so many dreadful, interminable CPE sessions over the years where I was really just getting the hours in, and that’s not really good for anybody. I’m really trying to turn this tide, and, let’s just learn, let’s be more effective and make use of this 40 hours a year that we have in learning. Bob the CPA: In your mind, you’ve been using it for decades now, what would you say is your favorite thing about Excel? David Ringstrom: My favorite thing about Excel has to be the ability to do programing work in Excel. I’ve never had to go learn any other programing languages but Excel has its own macro language, it’s called Visual Basic for Applications or VBA for short, and it’s totally made my career because I can swoop in and automate tasks that can take hours and hours and I can just make it and knock it down to the click of a button, that’s very addictive for folks and they realize wow, I don’t have to do all this by hand and I can get instant answers, that’s definitely my favorite aspect of Excel, it’s that whole programing environment, which most people are not even aware it even exists. Bob the CPA: Yeah and those who are aware are generally pretty intimidated by it, ’cause we don’t come from a programing background, is that something you teach a course on also? David Ringstrom: I do, and a feature that everyone can start with is on Excel’s View menu and it’s called the Macro Recorder. In effect this is like a little video camera for Excel, but instead of creating film, behind the scenes it transforms your actions into programing code that you can then play back. It’s a very good way to kind of get your feet wet with Excel, as with any tool that makes something that simple, it’s very limited in scope, it can’t make any decisions, you’re not gonna be able to do anything complex, but you can turn it on and create a few actions, then go behind the scenes and look at the programing code, and you’ll get a start. Folks have a very visceral reaction to programing in Excel. They either love it immediately or they want no part of it. But even if you don’t want any part of it, as long as you know what’s possible, then you can always find someone to do the automation for you, then you benefit because then you’re not stuck grinding along on the treadmill, carrying out these repetitive actions, you can always find somebody that does love doing the work, you can benefit from their work and then still advance in your career because you knew that this was possible. Not everyone has to be a coder per se, as long as you’re aware of what’s possible in Excel, it’s easy to find folks that can do the work. Bob the CPA: Absolutely. Going back a little bit in time again, what advice would you give to your 20 or 21 year old self when you were just getting out of the navy and trying to figure out how to get into accounting? David Ringstrom: With that, what I did is I just sought out a job that was in accounting. I didn’t plan on becoming a CPA per se, I had a boss at the time that kept encouraging me and so, the funny thing about me, I’m a CPA but I’ve never worked in public accounting in the state of Georgia, you can work under a CPA for five years, and meet the experience requirement. I had a great boss who kept encouraging me and after four years of hearing “you should sit through the exam” I finally capitulated, I took Becker, I did everything they said, I passed the exam, this was back before calculators, back when it was a two and a half day exam. I’m sure it’s intense now, it was definitely intense back then. What’s been great about being a CPA is that instant credibility. I can just come into any situation and I have instant street cred, even though I’ve never worked as a tax accountant or a public accountant, there’s so much I’ve done with those credentials that, if you’re on the fence, if you’re that 20 or 21 year old, like “should I sit through the exam” having a credential has been invaluable for my career and back in the day, I thought okay, well I need to go get a Master’s and all that, I’ve never needed a masters degree, just the CPA credentials has been sufficient for me. Not to say that there’s not value in getting a masters but if it’s not in the cards for you as it ended up not being for me, there’s still much that you can do with the credential. Bob the CPA: Before I let you go, where can people learn more about you or sign up for your trainings? Is that something they can do online or do they have to find you through the phone? How does that all work? David Ringstrom: Two different places, Davidringstrom.com is my professional speaking website and that’s mostly used to book me. I teach for about two dozen providers so I can’t really offer favoritism to any one of them to keep things fair, if you go on Google and you search for Excel and then David Ringstrom, then I’m very easy to find there, also my consulting website is accountingadvisors.com. That talks all about my consulting work and also has a couple links to training materials that I offer, it also has links to articles that I’ve written. That’s kind of my two places to learn about me but, pretty much if you go on Google and put my name in, you’ll learn more than you want, as you saw there Bob. Bob the CPA: Wonderful. That’s all I had for you today David, is there anything you’d like to throw in at the end before I let you go? David Ringstrom: I would say just be patient with yourself and take the long view. The careers are funny, sometimes they kinda come in spurts, where you might feel like you’re stuck, but you never know when that next opportunity’s right around the corner, so if you just take the long view and be patient, one day you’re gonna look up and say wow, look what I’ve accomplished. Bob the CPA: Excellent advice, couldn’t agree more. All right David thank you so much for coming on the show. David Ringstrom: My pleasure Bob. Bob the CPA: Thanks again to David for coming on the show, and thanks to you for listening. You can find links to everything we’ve just talked about in the show notes for this episode, at Abacusshow.com/206. Thanks for listening, if you’re new to the show, you can catch up on all of our past episodes and get access to tons of training courses, cheat sheets, articles, and downloads by visiting Abacushow.com. What David learned in the Navy that helped him transition to accounting. How to use Google to teach yourself Excel. Why you should automate recurring tasks in Excel. Don’t be afraid of automating yourself out of a job. How to recover unsaved workbooks in Excel. Use Excel’s built in revision history to roll back changes. Why the Macro Recorder is a great way to get started learning VBA. Advice for leaving the Navy to start an accounting career. 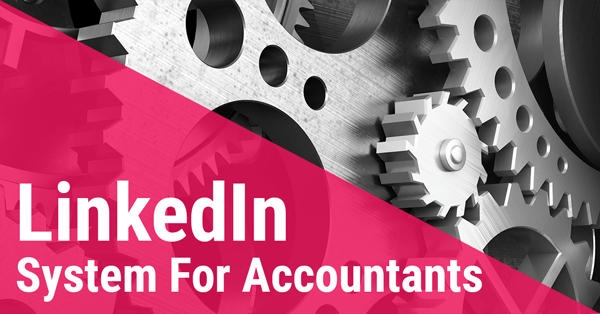 In his unconventional career David has been in the Navy, done bookkeeping, passed the CPA, helped companies with their Excel problems, and trained people around the world how to use Excel more effectively. We’ll talk all things Excel, and learn a few of the most overlooked Excel tips you can use to be more effective at work.